Hosting numerous workshops, presentations, and events with members and community leaders provide entrepreneurs the opportunity to learn, network, and get inspired. These events focus on the various stages of business growth. Make sure to add them to your calendar. Friday, October 19, 7:30 a.m. - 9:00 a.m.
Gearing up for holiday shoppers. Join in the discussion of sharing best practices, tips and tricks that keep customers coming back for more. Speaker: Lara Herter brings 17 years of retail management & merchandising experience to the discussion. 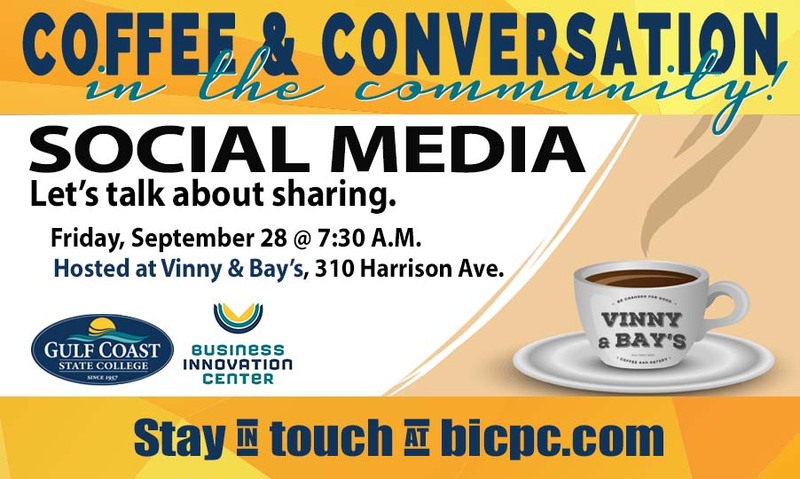 Vinny & Bay’s Coffee and Eatery, 310 Harrison Ave. 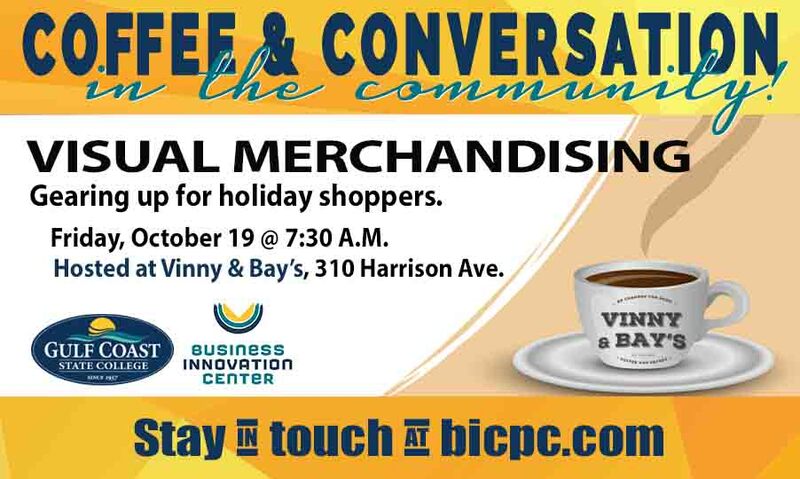 In collaboration with Vinny & Bay’s Coffee and Eatery, the Business Innovation Center brings Coffee & Conversation into the community, making it more convenient for local businesses to join the discussion. initiative and to gain skills and innovation in their international sales. Delivered by the U.S. Commercial Service (U.S.
export basics. Attendees will receive a certificate following completion of this course. This course is ideal for marketing and sales management and staff, export operations personnel, purchasing, logistics, and anyone with a responsibility for export functions. Course goals include: 1) evaluating export readiness; 2) developing an export marketing plan; and, 3) understanding the basics about U.S. export regulations, 4) international logistics, and 5) how to ensure that you get paid. 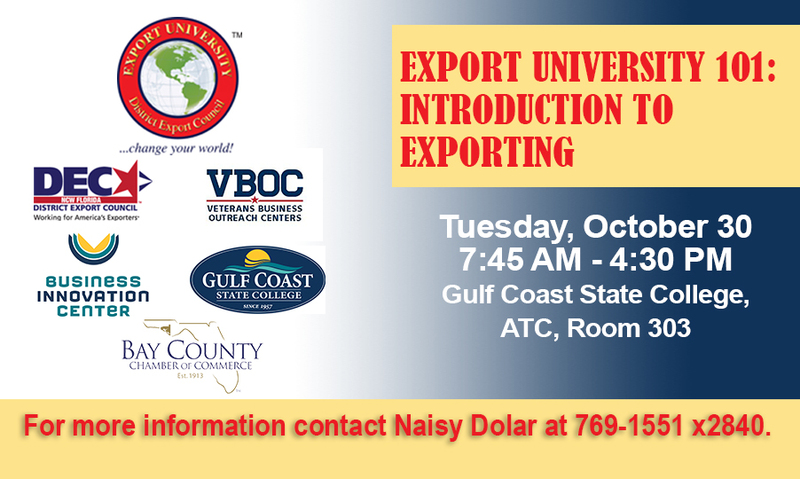 This course will not cover the topic of foreign or outsourced manufacturing or importing into the U.S.
Start your day with us! Sip a cup of coffee and join in discussion with Holly Pituch, Marketing Manager for Sweet Bay to find out the importance of keeping social media interesting, helpful, real and most importantly shareable.